Bu çalışma, süpermarket çalışanlarının ve müşterilerinin hizmet kalitesi ile ilgili beklenti ve algılama düzeylerini karşılaştırmaktadır. Araştırma Kayseri şehir merkezinde gerçekleştirilmiş, tüketiciler ve süpermarket çalışanlarından veriler, gözatım yöntemi ile toplanmıştır. 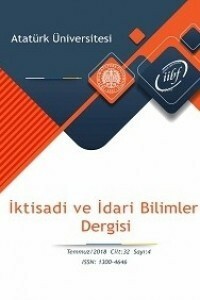 Hizmet kalitesi ile ilgili değişkenler gruplandırılmış ve elde edilen faktörler esas alınarak, her iki grubun beklenti ve algılama farklılıklarını belirlemek amacıyla t testi yapılmıştır. Çalışma, hizmet kalitesi bileşenlerine göre tüketicilerin ve çalışanların beklenti ve algılama düzeylerinde benzerlikler ve farklılıklar bulunduğunu göstermektedir. Berry, Leonard (1986), “Retail Businesses Are Services Businesses”, Journal of Retailing, Vol.62, No.1, ss.3-6. Bitner, Mary Jo, Booms, Bernard H. ve Mohr, L. A. (1994), “Critical Service Encounters: The Employee’s Viewpoint”, Journal of Marketing, Vol.58, No.4, ss.95-106. Bitner, Mary Jo, Booms, Bernard H. ve Tetreault, Mary Stanfield (1990), “The Service Encounter: Diagnosing Favorable and Unfavorable”, Journal of Marketing, 54, 1, ss.71-84. Carman, James M. (1990), “Consumer Percepitions of Service Quality: An Asessment of the SERVQUAL Dimensions”, Journal of Retailing, Vol.66, No.1, Spring, ss.33-55. Cronin J. Joseph Jr. and Taylor Steven A. (1992), “Measuring Service Quality: A Reexamination and Extention”, Journal of Marketing, Vol.56, July, ss.55-68. Chung-Herrera, Beth G., Goldschmidt, Nadav ve Hoffman, K. Doug (2004), “Customer and Employee Views of Critical Service Incidents”, Journal of Service Marketing, Volume 18, Number 4, ss.241-254. Dabholkar, Pratibha A., Dayle I. Thorpe and Joseph O. Rentz (1996), “A Measure of Service Quality for Retail Stores: Scale Development and Validation”, Journal of the Academy of Marketing Science, Vol.24, No.1, ss.3-16. De Man, Stefanie, Gemmel, Paul, Vlerick, P., Van Rıjk, P. ve Dierckx Rudi (2002), “Patients and Personnel’s Perceptions of Service Quality and Patient Satisfaction in Nuclear Medicine”, European Journal of Nuclear Medicine, Vol.29, No.9, September, ss.1109-1117. Finn David W. And Charles W. Lamb (1991), “An Evaluation of The SERVQUAL Scales in a Retailing Setting”, in Advances in Consumer Research, eds. Rebecca H. Holman and Michael R. Solomon, Vol.18, ss.483-490. Hartog, Deanne N. D. ve Verbug, Robert M. (2002), “Service Excellence from The Employees’ Point of View: The Role of First Line Supervisors”, Managing Service Quality, Vol.11, No.3, ss.159-164. Hoffman, K. Douglas, Kelley, Scott W. ve Rotalsky, Holly M. (1995), “Tracking Service Failures and Employee Recovery Efforts”, Journal of Services Marketing, Vol.9, No.2, ss.49-61. Jonson, J. W. (1996), “Linking Employee Perceptions of Service Climate to Customer Satisfaction”, Personnel Psyhology, Vol.49, No.4, ss.831- 851. Johnson, Lesley (2002), “Using the Critical Incident Technique to Assess Gaming Customor Satisfaction”, UNLV Gaming Research and Review Journal, Vol.6, No.2, ss.1-12. Kandampully, Jay (1997), “Quality Management in Retailing Through Service- Product Design”, Total Quality Management, Vol.8, Issue.1, February 1997, ss.41-53. Kurtuluş, K (1996), Pazarlama Araştırmaları, Genişletilmiş Beşinci Baskı, İ.Ü İşletme Fakültesi Yayın No: 28, İ.Ü. İşletme Fakültesi İktisadı Enstitüsü yayın No: 160, İstanbul. Mehta, Subhash C., Lalwani, Ashok K. ve Han, Soon Li (2000), “Service Quality in Retailing: Relative Efficiency of Alternative Measurement Scales for Different Product-Service Environment”, International Journal of Retail&Distribution Management, Vol.28, No.2, ss.62-72. Parasuraman, A., Zeithaml V. A. and Berry L. L. (1985), “A Conceptual Model of Service Quality and Its Implications for Future Research”, Journal of Marketing, Vol: 49, Fall, ss.41-50. Parasuraman, A., Zeithaml, V. A. and Berry L. L. (1988), “SERVQUAL: A Multiple-Item Scale for Measuring Consumer Perceptions of Services Quality”, Journal of Retailing, Vol.64, Spring, ss.12-40. Parasuraman, A., Zeithaml, V. A. and Berry L. L. (1991), “Refinement and Reassessment of the SERVQUAL Scale”, Journal of Retailing, Vol.64, Spring, ss.12-40. Schneider, B., White, S. S. ve Paul, M. C. (1998), “Linking Service Climate and Customer Perceptions of Service Quality: Test of a Causal Model”, Journal of Applied Psychology, Vol.83, No.2, ss.150-163. Schneider, B., Parkington, J. J. ve Buxton, V. M. (1980), “Employee and Customer Perceptions of Service in Banks”, Administrative Science Quarterly, Vol. 25, ss.252-267. Teas, R.K. (1993), “Expectations, Performance Evaluation, and Consumers’ Perceptions of Quality”, Journal of Marketing, Vol.57, October, ss.18-34. Walker, J. L. (1995), “Service Encounter Satisfaction: Conceptualized”, Journal of Service Marketing, Vol. 9, No. 1, ss.5-17. Varinli, İnci, Güllü, K. ve Babayiğit, S. (2001), “Perakendecilikte Hizmet Kalitesi ve Tüketicilerin Kalite Değerlendirmelerine Yönelik Bir Araştırma”, Pazarlama Dünyası, Yıl:15, Sayı:88, ss.32-38. Zeithaml, V. A., Berry, Leonard L. ve Parasuraman A. (1988), “Communication and Control Processes in the Delivery of Service Quality”, Journal of Marketing, Vol.52, ss.35-48. Zhao, Xiande, Bai C., and Hui Y. V. (2002), “An Empirical Assessment and Application of SERVQUAL in a Mainland Chinese Departman Store”, Total Quality Management, Vol.13, No.2, ss.241-254. ISNAD Nakip, Mahir , Varinli, İnci , Güllü, Kenan . "SÜPERMARKETLERDE ÇALIŞANLARIN VE TÜKETİCİLERİN HİZMET KALİTESİ BEKLENTİLERİNİN VE ALGILAMALARININ KARŞILAŞTIRILMASINA YÖNELİK BİR ARAŞTIRMA". Atatürk Üniversitesi İktisadi ve İdari Bilimler Dergisi 20 / 2 (November 2010): 373-386.